Even though the major US national laboratories are just now starting to take delivery of the supercomputers they ordered a few years back, due to the long and complex development process for these projects, the US Department of Energy(DOE) has already been focusing on the next round of supercomputers for the next decade. Under the Exascale Computing Project, the DOE expects to develop & order one (and in the end, likely several) exaFLOPS-capable supercomputers, 50 times more powerful than the generation of supercomputers being installed now. A long-term project expected to take several years altogether, the Department of Energy and its laboratories have already been working on it for nearly two years now, slowly building towards ordering the final computer. To that end, today the project is taking its next step forward with the announcement that the DOE is awarding $258 million in research contracts to six of the US’s leading technology companies. At a high level, the significance of this project is more than just supplying an exascale system: a major goal of the project is to figure out how to build such a system. Researchers have known for some time that traditional supercomputing paradigms won’t scale very well to exaFLOPS-level performance, as power efficiency, reliability, and interconnect performance would all struggle at those performance levels. As a result, to get the exascale systems the DOE ultimately would like to have – and to get those systems in a timely fashion to ensure US leadership in the field of supercomputing – it has taken a greater role in the research and development of the required technologies under the PathForward program. To that end, today the department is announcing that it is awarding a total of $258 million in R&D contracts to major US technology firms to help spur them to develop the necessary technologies. These contracts will be going to a veritable who’s who of major US tech firms: AMD, Cray, Hewlett Packard Enterprise, IBM, Intel, and NVIDIA. All told, the participating companies will be working over a three year contract period, with the respective firms kicking in their own money – to the tune of at least 40% of the project cost – to help develop the technologies needed to build an exascale computer for 2021. Overall, the DOE’s R&D program is intended to spur development in three areas: hardware, software, and application development. Hardware is of course the biggest issue: how do you build processors energy efficient enough to do 1 exaFLOPS of work in under 30 megawatts, especially at a time when Moore’s Law is slowing down? Even then, how do you actually connect those systems together in a meaningful manner? The answer to that is to pull together the nation’s largest hardware firms – all of whom already have supercomputer experience – and help them to develop the next level of technology. Unsurprisingly then, the plan calls for everyone to play to their strengths: Cray and IBM working on system level challenges, while HPE develops their Memory-Driven Computing architecture that is based around byte-addressable non-volatile memory and new memory fabrics. Meanwhile Intel, AMD, and NVIDIA are all working on processor technology for the project, along with I/O technology in the case of the former two. The DOE is still years away from awarding a contract for a complete system – and such a contract will inherently hinge on the outcome of the aforementioned R&D efforts – but at a very high level it’s easy to imagine what such a system will look like, based on the companies involved. The new systems already being brought online, such as Summit, make heavy use of GPUs and other wide processors, and at a pure processing level this looks likely to be a major component of exascale systems as well. What is likely to be farther off of the beaten path for these systems are the storage/memory and interconnects; particularly how these can be used to actually make an exaFLOPS worth of processors work together in an efficient manner. Not significantly discussed in today’s DOE announcement, but still a big part of the project, will be the software to run on these systems. The issue here being much the same as the system interconnects, that is, actually getting applications and libraries that can scale to as many threads as it would take to fill an exascale system. Some of this will be on the application development side, while other parts will come down to building supporting libraries that are up to the task. 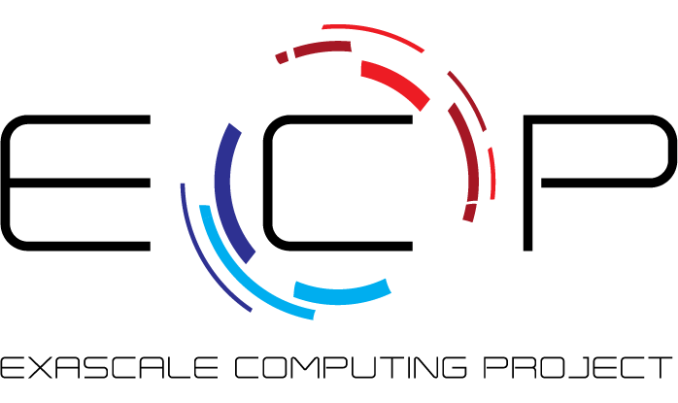 Finally, not to be overlooked are the stakes for the Exascale Computing Project itself. For the companies involved, these research contracts are likely to lead to lucrative computer contracts down the line. Meanwhile for the US DOE and other aspects of the US government and industry, it’s a matter of both technology leadership and good old fashioned national pride. China has already usurped the Titan supercomputer, taking the top two spots in the latest Top 500 list, and the country has its own plans to build an exascale computer for 2020 (and meanwhile, the US Committee on Foreign Investment is looking to further restrict Chinese investment in related fields). So for the US there is a need to keep pace with (and ultimately surpass) any competing systems so that the US maintains its leadership in supercomputer technology. With regards to your original comment, the only news that day was about ThreadRipper having 64 lanes of PCIe and quad channel memory. The rest of it had been previously announced. Guess I'll have to find another source for such "small stories" :). I didn't expect AT writers to have such a high threshold for how big an announcement must be in order to deserve a 200 word pipeline story on time. May 30, 2017: 16 Core ThreadRipper article is front and center, top, #1 main article with largest picture/link, right when the article was first posted to the site. Minutes later, at least, before the end of the day, "Intel Announces Skylake-X: Bringing 18-Core HCC Silicon to Consumers for $1999" takes AMD ThreadRipper's place as the highlighted, main article on the home page. ThreadRipper article is knocked down into the pipeline articles below or elsewhere. Yeah, there's a very tight relationship between AT and Intel these days. I noticed this when AT was the only high end tech outlet selling Kaby Lake as Jesus' second coming, "sits at the top of the stack, and performs like it", "mops the floor" with a 4790K (a 4 year old Haswell with some OC), etc. This while every other tech outlet was underscoring the fact that it brings performance to a standstill by being basically a slightly OCed Skylake. That's when I really started feeling that for one reason or another too many times there seems to be just a little too much positive bias towards Intel here at AT. In this particular case choosing to ignore for 2 weeks a relatively important announcement made by AMD and letting it be instantly bumped down the page by several Intel articles as soon as you decided to report on it is either gross journalistic oversight or worse. I'm glad the editor in chief decided to address this topic with a link to a comment that didn't even touch the correct issue and was also buried deep in an old article. "So I guess... good luck. Hope you take the more or less constructive criticism to heart." Go re-read that article again. There's more to a CPU than just raw performance. Intel made good power numbers, so much better than anyone was expecting. If all you are doing is picking and choosing the bits of the review you want to read (e.g. performance) and missing out the rest, you really can't see the wood for the trees in my conclusion. And referring to AMD's FAD announcements - I was half-way around the world, asleep, at a different show, while also dealing with some major testing items. I literally bounced from the UK to Taiwan to Germany to Romania and back to Taiwan again in three weeks, all the while trying to retest 30+ CPUs preparing for an upcoming review (which I'm currently 36 hours with no sleep writing), and while filling out both Anton's and my Computex timetable, and trying to get as many ducks in a row. Then for the AMD event at computex itself, I landed that morning of the trade show. Live Blogs have very limited shelf-life, hence it was bumped down for the main news of the week. I went straight from that AMD press event into a 12 hour day of meetings without a single break, with a combination of jet lag and 35C+ heat wearing a suit all day. Jeez, if I ever took weekends off, I'm sure that 'gross journalistic oversight' might just cause your head to spin, exorcist style. I drop the ball on one announcement every now and again and somehow I'm the equivalent of an Intel patsy. For AMD's Ryzen launch, we had an exclusive interview with Lisa Su with some really probing questions - one of my best ever experiences in this job. That review went so deep I had CPU architects coming out of the aether adding discussion points in my inbox. That review signalled worthy praise on a product that deserved it and I'm making sure I'm as high up on the sampling list as I can be for all future products from both sides of the fence. I go super deep with as many engineers as I can on both sides to try and get the story, and get the info. If anything, AMD are more open to speak to me about the hardware than most other journalists and analysts. If I were seriously harboring an Intel bias that it stuck out of my rear end, I doubt AMD would be going near me. @Ian Cutress: "For AMD's Ryzen launch, we had an exclusive interview with Lisa Su with some really probing questions - one of my best ever experiences in this job. That review went so deep I had CPU architects coming out of the aether adding discussion points in my inbox." I liked that article. It certainly wasn't the first time you deep dived either. Architecture deep dives are probably my favorite part of this site. Would I like all news posts of interest (to me) covered at least a day before the news is publicly available? Sure, who wouldn't. Would I sacrifice the depth or quality of in-depth articles to get them? #%$* NO!!! I'd rather lose all of the little news flash articles than lose a single full review. Though, I do appreciate being kept up to date on the direction of the tech industry as well. @Ian Cutress: "... perhaps one day I'll get weekends off."